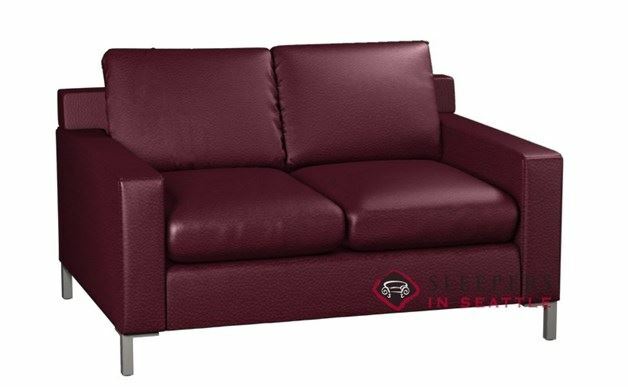 With clean lines bordering a compact frame, the Soho 2-Cushion Leather Twin Sleeper Sofa by Lazar offers a stylish and comfortable solution for any size space. Slim track arms sandwich a recessed hard-back to give the Soho a chic spin, and make deliveries through any tight doorway a breeze. The Soho is also known for providing exceptional comfort, with symmetrical cushion alignment and a balanced and welcoming seat suspension support system. The Soho is available with an extensive number of custom options--choose from three seat cushions, three back cushions and over 30 foot finishes after selecting your favorite top-grain leather. 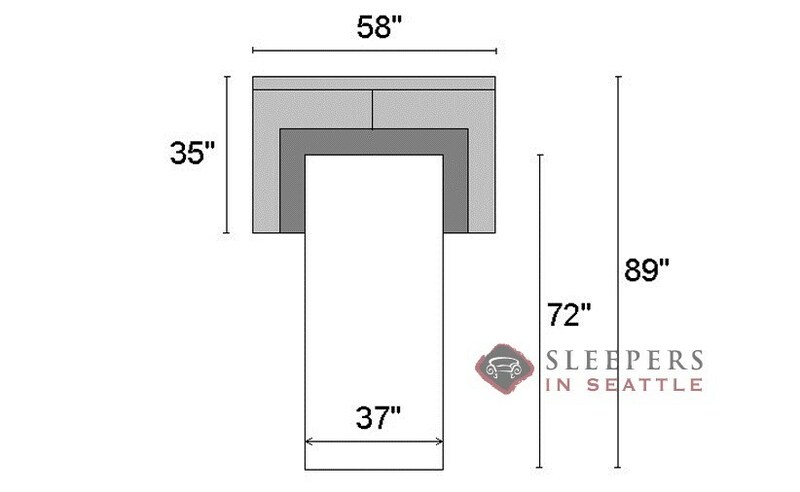 This is a classy little sleeper sofa. It's nice and compact, so it doesn't hog up too much space before the bed is pulled out. It's a pretty stylish piece as well, though I'm now regretting my leather choice (always go with black or brown). But I have no one to blame for that but myself. The delivery time was also a little lengthy. I only have need one word to describe this sofa: Yum. I fellin love with this sofa as soon as I saw it on your website. I even bought it in the same default color you have shown on the product page. It has this sleek yet vibrant look that really adds a lot of flavor to my living room. When I first bought it, my husband complained about the price, but as soon as we put it in the living room, he instantly changed his mind. It's really a stand out piece. The fact that it comes with a sleeper, was really just a great added bonus, I probably would have bought it either way. 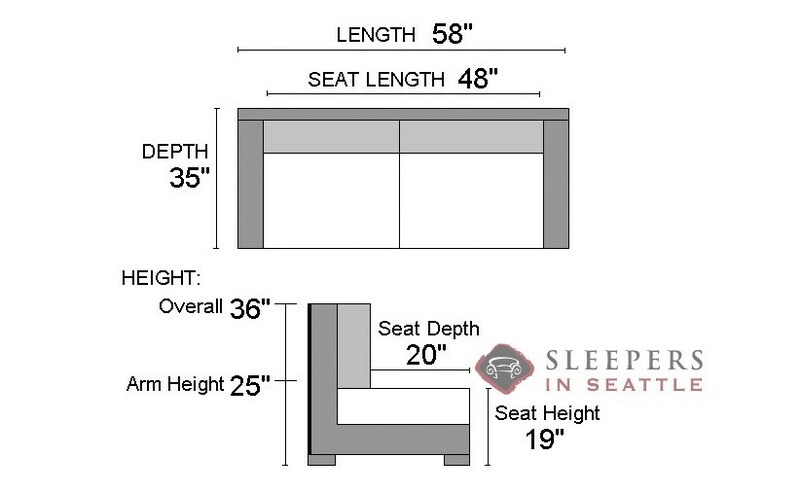 There was no way I was gonna be able to fit a full sized sofa bed in my apartment, but this site had a lot more twin options than I was expecting to find. Very happy with this one. Looks great in my apt.